Update: For a musical, humorous take on this topic, listen to “The Basic Research Blues,” written and performed by Sarah Brookhart, APS Executive Director. The US Congress has directed the National Institutes of Health (NIH) to “delay enforcement” of a new policy that would reclassify basic research involving humans as “clinical trials”. Lawmakers concluded that the research community was not adequately consulted about this change and that the policy could have “long-term unintended consequences,” including unnecessary regulations and the inappropriate inclusion of non-clinical trials in NIH’s clinicaltrials.gov database. The Association for Psychological Science (APS) has been a leading voice in opposing NIH’s redefinition of clinical trials, which would have brought basic behavioral and neuroscience research under the umbrella of clinical trials and would have subjected those areas to unwarranted, costly, and time-consuming administrative requirements. Wider opposition to the new clinical trials definition was slow to build, in part due to the arcane nature of the issue. It really boiled down to a few words in a larger set of rule changes. Further, basic researchers initially didn’t focus on the problem because something labeled “clinical trials” simply would not have been on their radar. That was the Catch-22 aspect of this issue. However, once the research community became aware of the issue, there was unprecedented opposition, including a petition signed by more than 3,500 researchers, including many leaders of APS. Opposition mounted throughout the summer of 2017. There was even news coverage of the community’s concerns in Science. Unfortunately, in its responses to APS and others, NIH dismissed the community’s concerns as unwarranted and too late – the policy would go into effect as planned, they said. Clinical Trials Definition – The agreement appreciates efforts NIH has taken to increase transparency and improve oversight of its clinical trials and recognizes that the results of NIH-funded clinical trials have not always been reported in a timely manner, reducing the potential benefit from the findings. The agreement urges NIH to continue to address this problem through enhanced registration and reporting through ClinicalTrials.gov. There is concern, however, that in addressing this issue, many fundamental research studies involving human participants are being redefined as clinical trials without sufficient notification and consultation with this segment of the research community. Fundamental research is critical to the NIH mission and of value to the public, and there is concern that policy changes could have long-term, unintended consequences for this research, add unnecessary regulatory burdens, and substantially increase the number of studies in the clinicaltrials.gov database that are not clinical trials. For fiscal year 2018, the agreement directs NIH to delay enforcement of the new policy published in the Federal Register on September 21, 2017 including NIH’s more expansive interpretation of “interventions”-in relation to fundamental research projects involving humans. [emphasis added] The new policy should go forward for research projects that would have been considered clinical trials under the prior policy. This delay is intended to provide NIH sufficient time to consult with the basic research community to determine the reporting standards best suited to this kind of research. The agreement directs NIH to provide the Committees on Appropriations of the House of Representatives and the Senate a plan and schedule for soliciting comments and input from the research community within 30 days of enactment of this act, and brief the Committees on the results of these consultations and next steps by June 22, 2018. Congress is very supportive of NIH as the world’s preeminent health research agency, just as APS is a loyal constituent of NIH and works to strengthen support for its budget. 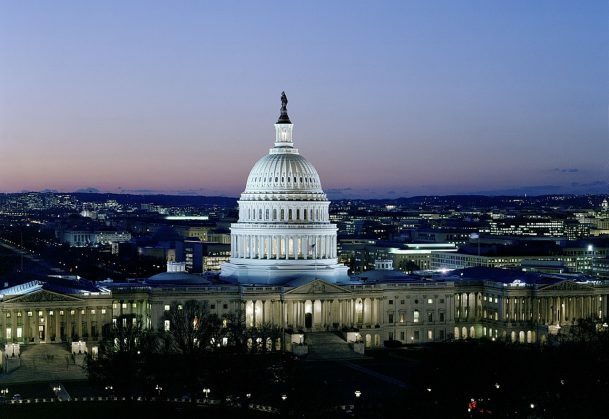 However, as seen by the report language above, Congressional appropriators also recognized the community’s concerns that there was a disconnect between the stated objectives of the proposed clinical trials policy and the move to include basic research under that policy. NIH still has not provided sufficient rationale for a change that had potential for such far-reaching negative consequences. However, APS will continue to work with NIH and Congress on this issue to help develop solutions that address NIH’s objectives while advancing basic behavioral research relating to NIH’s public health research mission. NIH redefines clinical trials, attracting critics, Science, July 21, 2017. Scientists hate the NIH’s new rules for experimenting on humans, Wired, January 26, 2018. Wonderful news¡ Great work by the APS. This is great news thank you for your hard work in getting these inappropriate regulations re-examined! Terrific work, APS. Thank you! I spoke to a program officer at NIH and they hadn’t heard about the Congressional Directive. They seem to be going full bore ahead with Forms E and the evaluation of almost all human research as clinical trials. NIH is completely and willfully ignoring this directive. They are choosing to press on with their destructive approach. What recourse do we have? Can APS and other societies urgently alert congress to their directive being ignored? A terrible blow to science if these regulations are implemented. I work in a Clinical and Translational Studies team and we do imaging genetics of neurodevelopmental disorders. Frankly, there is no difference between ‘‘basic’ and ‘clinical’ research when implementing prospective treatment with humans, regardless of whether the treatment is behavioral, device driven, or drug oriented. We have the infrastructure in place to manage the ‘administrative burden’ and ‘administrative burden’ is no different than an assurance that we are following good clinical practice and caring for the well-being of our human participants. I’m not sure what issues this raises at other academic sites, but this seems like a good thing for the human subjects welfare and for the overall quality of our science.